Good morning from Singapore! I'm officially graduated, and no longer living in Korea any more. I arrived in Singapore early yesterday morning and hopefully can find a job quite soon. 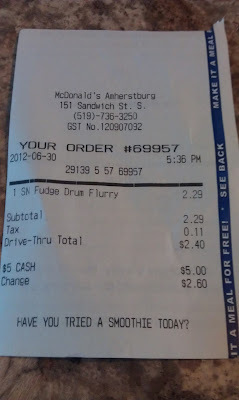 I was able to buy this Drumstick McFlurry for my sister on my last evening at home in Canada. 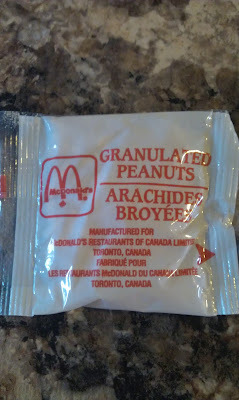 I sampled quite a few promo items between Canada and the US over that week, so I was putting off the McFlurry as long as possible. It was also the first time I had ordered something via the drive-'thru', in quite a number of years. Just in-case anyone doesn't know what a drumstick McFlurry, it is NOT a chicken leg, but rather a packaged ice-cream made by Nestle. Anyone that has had a Drumstick knows of their unique flavour. 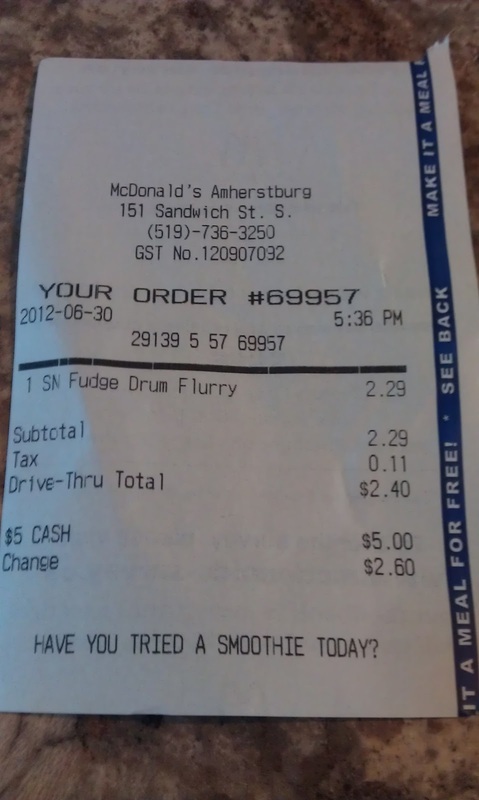 I've always enjoyed Drumsticks, so I was interested to see how the McFlurry varient could match its flavour. I'll admit, I bought the McFlurry for my sister, so I only had a spoonful or two, but I believe it was enough to give it a review. First, I'd start with the size. I ordered my sister a 'small' McFlurry in the US about a week prior (review to come), and I never thought anything of the size, it seemed about the same size as the Asian sizing, and thought nothing of it. Back home in Canada, they asked if I wanted a 'snack-size' or 'large-size'. Thinking snack-size would be equvilant to a small, I ordered it, but it was probably half the size of a US small, and surprisingly even smaller than the Asian sizes. Worst of all, it cost the most of any country. My sister said a 'large' is about $1 more. 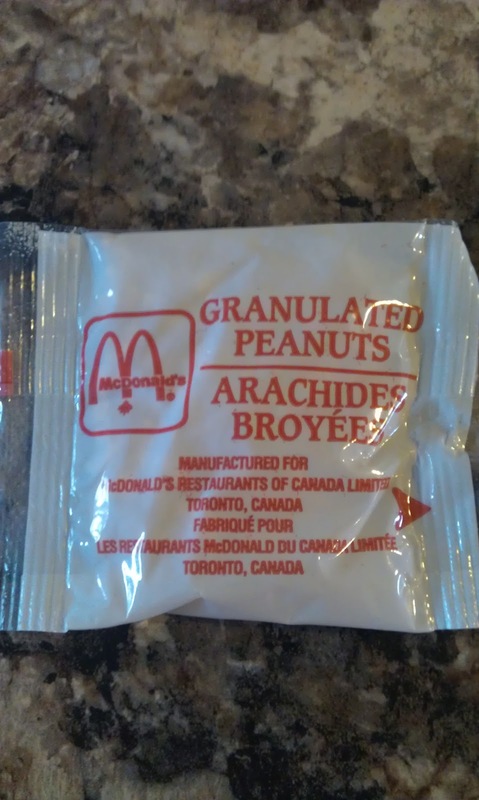 Canadian McDonald's has always been more expensive than the US, but normally the 10-50 cent increase you pay on the item still gives you the same size, so this was highly disappointing. 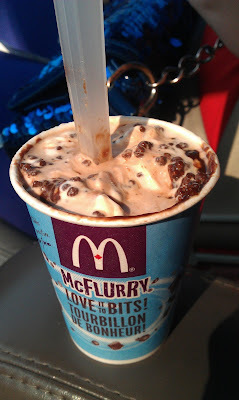 The McFlurry page on the McDonald's Canada website says you have the option of choosing Fudge, Caramel, or Strawberry topping for the Drumstick McFlurry, but at the drive through I was never given the option, and they topped it with both chocolate chunks (fudge) AND caramel. Personally I would have picked only fudge if I had the option, but the caramel did work rather well with the rest of the toppings. 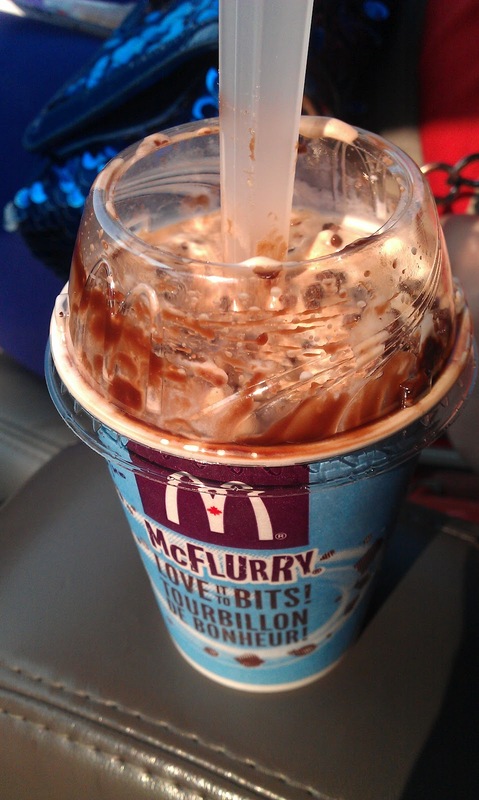 My sister refused to put the peanut pieces on the McFlurry, but crunchy bits of sugar cone pieces were really nice. 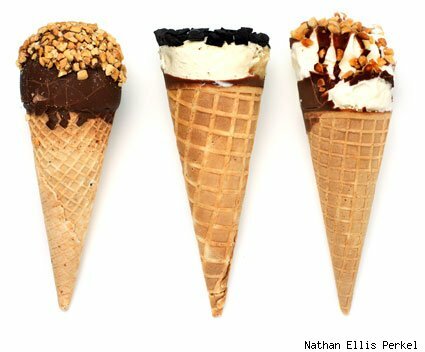 They tasted nothing like the original Drumstick sugar cones, but with the combination of the caramel and chocolate chunks. There were mouthfuls of chocolate chunks and as I had the first bite, I got maybe 10 pieces on one spoonful, and they weren't just all sitting on the top, as even my sister was commenting on the number, as she continued to eat the rest of the ice cream. Would be a perfect 5 if the price was a bit lower, or the sizing standard with the rest of the world. We needed to pick somewhere that was accessible for both me (Canadian) and my GF (Korean) to get a good job. Korea was not an option. I always leaned towards HK, but Singapore hires far more Koreans, so here I am. I love Drumstucks!!! My favourite is Vanilla. The caramel topping here reminds me of our new limited item (in Hong Kong) - Creme Brulee McFlurry. It isn't really Creme Brulee though. it's caramel and oreo bits. English names are always misleading here. Good luck with your new life in Singapore! Sorry about the VERY late reply. I hope the Creme Brulee McFlurry in HK was better than the terrible one we had in Canada last Christmas!